You do have to wonder why anyone would think it’s a good idea to build a city in the shadow of not one, but three massive volcanoes. Hello, doesn’t anyone remember Pompeii? Apparently, the Spanish colonists had forgotten to read that chapter in their history books when they founded Arequipa in 1540. Peru’s second largest city is strangely monumental considering it has been a magnet for natural disasters for nearly five centuries. Despite the volcanic rocking and rolling that periodically tests the city’s foundations, an impressive amount of the colonial-era sillar architecture remains. In fact, it might actually be that traditional use of the whitish, porous volcanic rock that has allowed the city to survive the quakes. 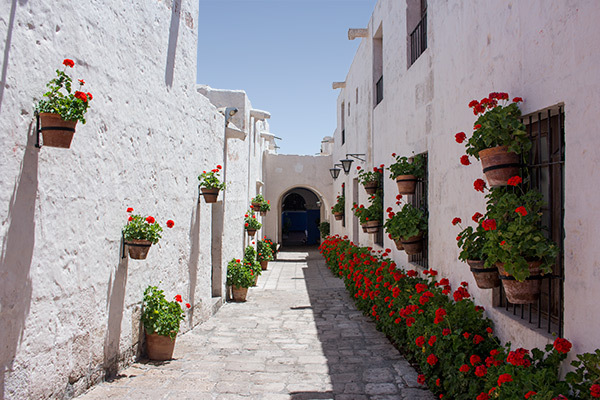 It’s certainly those sillar buildings that have earned Arequipa its nickname, the White City, as well as its place on the list of UNESCO World Heritage Sites. These days the “White City” might be a little less white than in previous eras due to modern construction sprouting up between the old buildings. However, the impressive Plaza de Armas recalls the glory days when volcanic stone ruled. 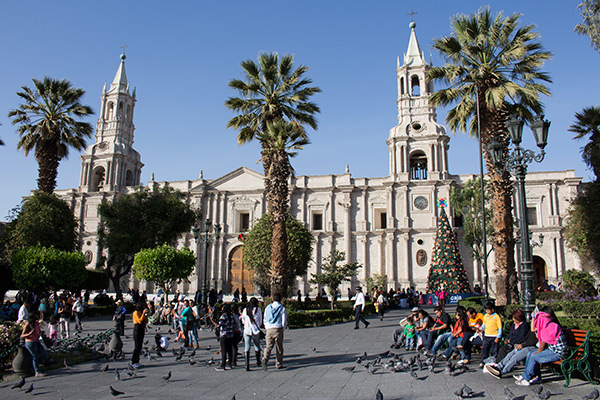 The enormous sillar cathedral, the widest church in Peru, dwarfs the entire plaza. 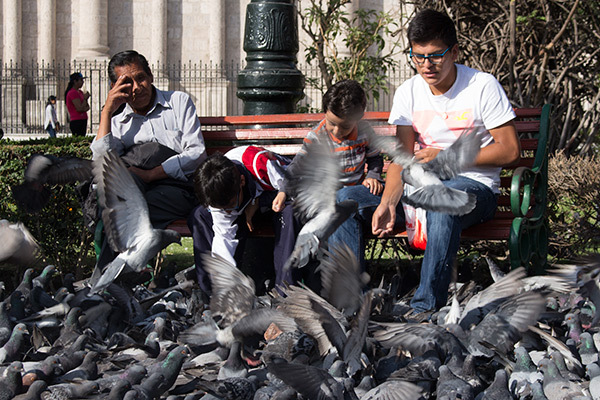 One of our favorite pastimes in Arequipa was just grabbing a couple of snacks, finding a shady bench in the plaza park, and watching the locals feeding the pigeons. Should you choose to do the same, WATCH OUT! If you drop a single crumb, you’ll end up with a 1,000 pigeons sitting on your head. Despite the potential pigeon pitfalls, the tall palm trees and mist from the central fountain make it the perfect place to cool off and enjoy the colonial vibe. You can easily spend several days just strolling around the streets of the old town hanging out in cool corner cafes. But one sight you absolutely cannot miss is the enormous Monasterio de Santa Catalina. 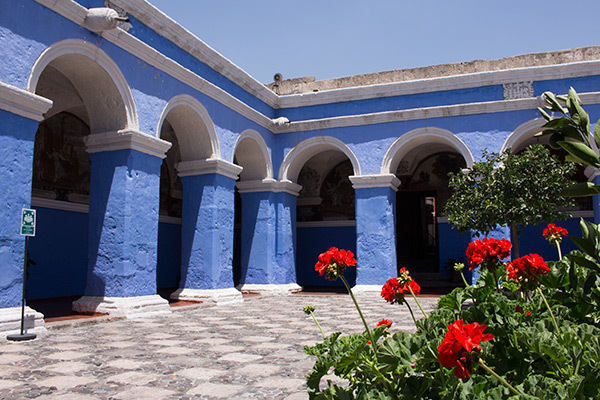 The huge cloister, which sits at the heart of Arequipa, feels like a walled city within a city. The ancient white-stone exterior is quite deceptive. Within, the cloister is an unexpected riot of color: orange streets lead to blue houses, murals decorate colonnaded courtyards, and there are flowers everywhere. But pictures are worth a thousand words, aren’t they? 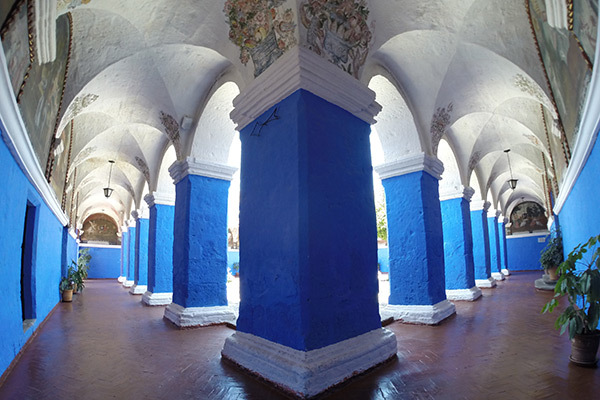 Virginia detailed the fascinating history and evolution of Santa Catalina, much of which is directly connected to the architectural evolution of the cloister itself. She was easily able to handle all of our difficult questions: Why does that nun have her eyes open in the funeral portrait? 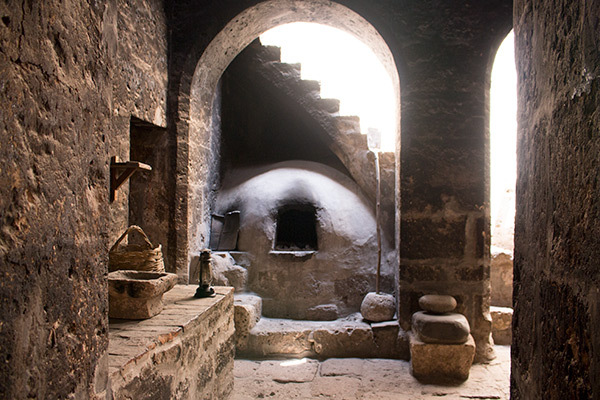 Why does this kitchen look like a church? Isn’t it a bit unusual for a nun to have a huge piano in her room? 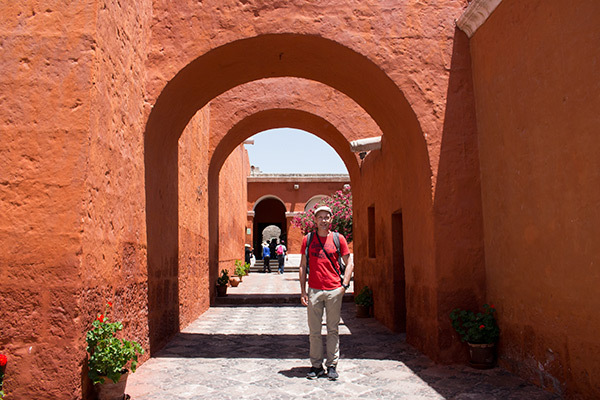 We did meet a few travelers who skipped Santa Catalina because they thought that the entry fee was too high and that they got enough colonial architecture just walking around the city, but we felt it was quite an exceptional attraction. The fees also contribute to the restoration of the architecture and support the 15 nuns who still live there today. It’s a sprawling place where you can easily while away the better part of a day exploring the ancient streets and relaxing in the gardens. Also, the cloister opens its doors a couple of nights a week, so visitors can explore the grounds by candlelight. 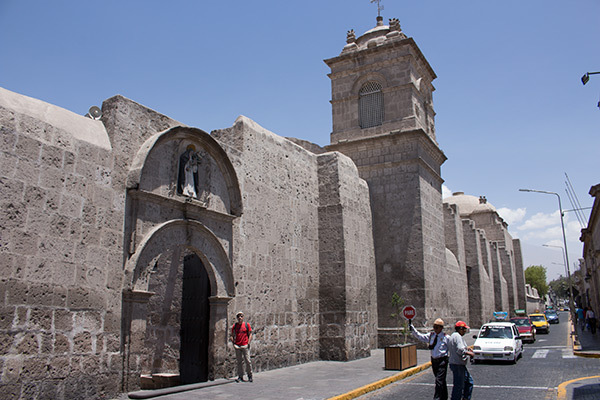 For us, the Monasterio de Santa Catalina was the clear highlight of Arequipa. Speaking of highlights, the city is famous across Peru for its local dishes including chupe de camarones (prawn chowder) and rocoto relleno (stuffed peppers). We could write about those local dishes, but to be honest, we were much more fascinated by a random restaurant we walked into called Crepisimo. It wasn’t cheap, and, in typical French fashion, portions could have been bigger. 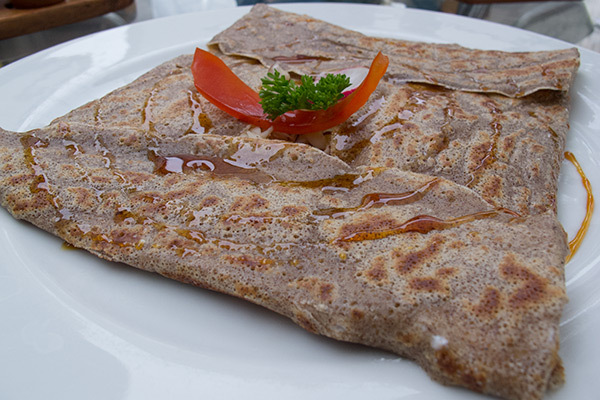 But darned if we didn’t have one of the best crepes ever. The menu offered an extraordinary variety of delicious sounding fillings from smoked trout to ice cream to alpaca to chicken curry. Despite the amazing choice, Thomas and I still ended up ordering the same crepe. Goat cheese, pear and Brazil nuts just sounded too good to pass up. 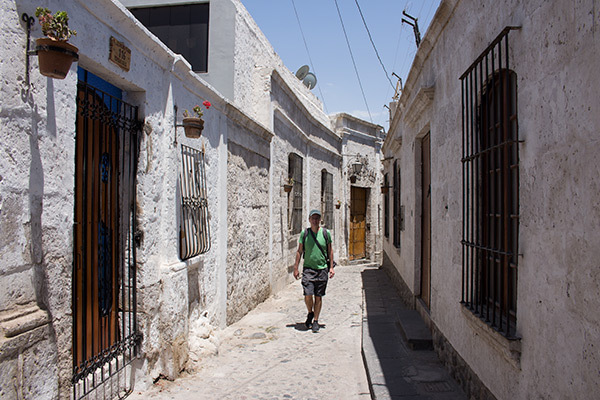 Yes, Arequipa is full of cool little surprises. One of the “coolest” surprises in town is the Ice Maiden, the incredibly preserved frozen body of a young Inca girl who was sacrificed to the mountain gods over 500 years ago. Discovered in the crater of the volcano Nevado Ampato, the Ice Maiden is also known as the Mummy Juanita, but that name is a bit of a misnomer because, unlike other Peruvian mummies, there was no attempt to embalm her. The girl’s body was preserved simply because it froze immediately after her death. Visitors to Arequipa can view the fascinating remains of the Ice Maiden in a very refrigerated display at the Museo Santuarios Andinos. (I hope that thing has a backup power supply!) The braided hair, skin, and clothing are remarkably well preserved; it’s hard to believe this girl was killed 500 years ago. It’s a bizarre feeling to look at the body of a 12-year-old virgin who was literally sacrificed to a volcano. The museum also displays other interesting artifacts recovered from sacrificial sites on the mountain including perfectly preserved capes, feather hats, figurines, sandals and more. Since photography was not allowed, we included the short YouTube video above. 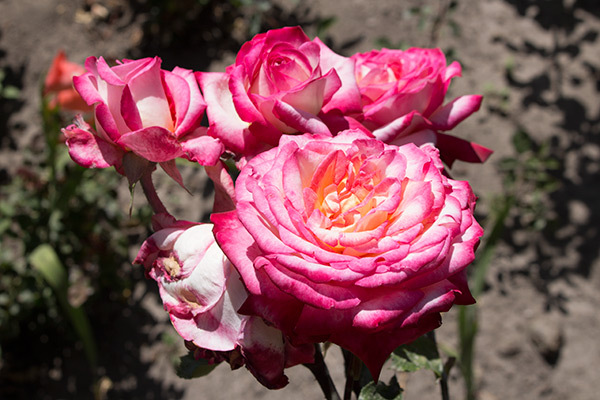 Yet again, Arequipa proves just how rich Peru’s natural and historical heritage is. Keep that in mind when you arrange transportation to your next destination. If you are headed to Colca Canyon or Puno, the road passes straight through the stunning Altiplano landscapes of Salinas y Aguada Blanca National Reserve. If you transit the park during the day, you are virtually guaranteed to see wild vicuñas along the main road. We spotted dozens mere feet from the bus. In season, you also have a good chance of spotting flamingos in high altitude lakes along the way. 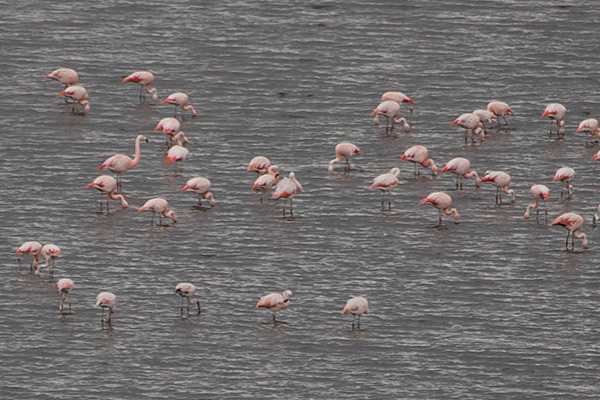 Can you believe it, flamingos at 4,500 m (15,000 ft)? Strangely, there weren’t many options for doing good excursions in the area. We really hope that changes in the future. Until then, keep your eyes peeled from the bus, or better yet, look for tourist transfers between towns which make photo stops. This is one area where you really might want to skip those night buses. We would like to thank Casa Andina Classic Arequipa for hosting us while soaking up the colonial flair of Arequipa for a few days. 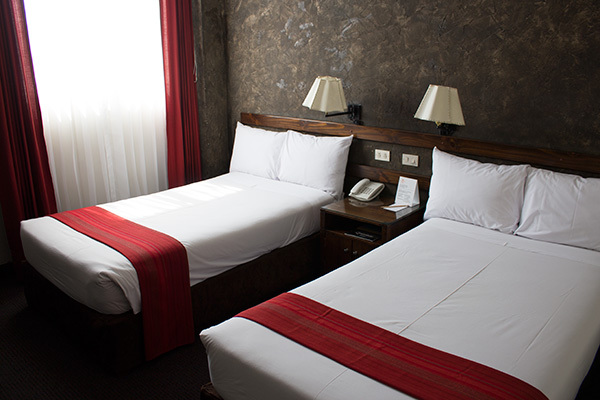 The economical hotel on Calle Jerusalén boasts compact but comfortable rooms with nice little perks such as English-language cable channels, a breakfast buffet, WiFi Internet, cozy beds, a bathtub, and a convenient work area where we actually got some work done. Of course, we really enjoyed the central location and the spectacular view from the hotel’s rooftop terrace. 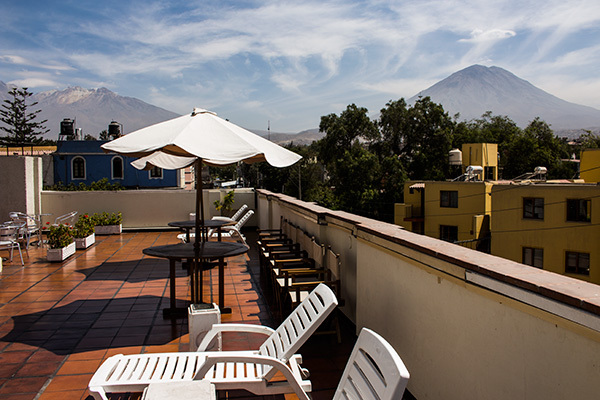 The first photo in this blog post of Misti volcano was actually taken from Casa Andina’s roof terrace. Not too shabby. 😉 Thanks again to the friendly hotel staff for making our stay as comfortable as possible. 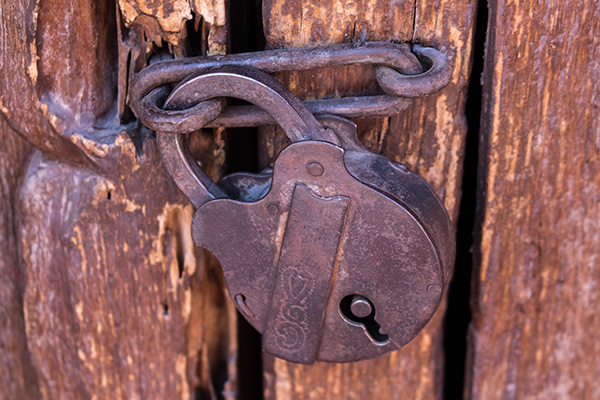 Disclosure: While staying in Arequipa, we were guests of Casa Andina as well as Monasterio de Santa Catalina. However, all of the opinions expressed here are our own. Yes, yes and yes! My husband and I spent a whole month in Arequipa in 2013 and we loved it! So many cool and interesting things to discover in a relatively small city. We saved Santa Catalina till near the end of our stay and it was definitely a highlight for us too. Crepisimo was a regular haunt of ours also, especially for brunch! 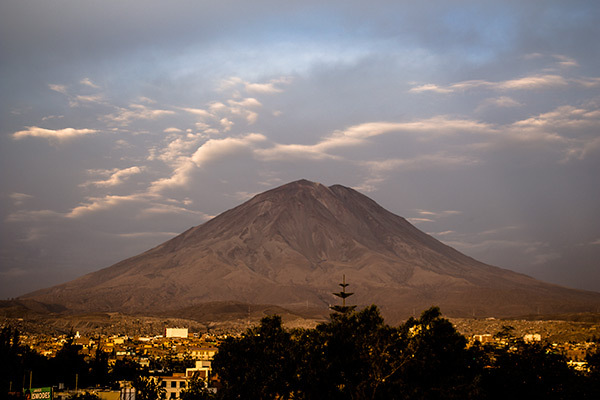 Can you climb the volcanoes near Arequipa? @KH Simpson, Yes, volcano trips can be arranged at agencies in Arequipa. Misti is an especially popular option. Looks pretty amazing. We thought about maybe renting an apartment there to kick back for a few weeks to rest up during our South America trip. What do you think? 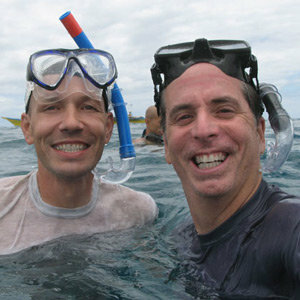 @Marco, Our friends at Indefinite Aventure did that and they loved it. We spent an extended period of time in Cuzco. Both areas are great options. I really liked Arequipa too. I was one of those people who thought the ticket price was too high for Santa Catalina monastery. And crepes? We definitely thought Santa Catalina was worth it. And don’t mock the crepes. Check out Sam’s comment above. I have read lots of blog posts on Peru, but somehow the ones on Arequipa don’t register in my head, until I read this. I guess the city has so much more than meets the eye, and that view of towering El Misti, I’m sold! Here’s to a longer list of places to visit in Peru.